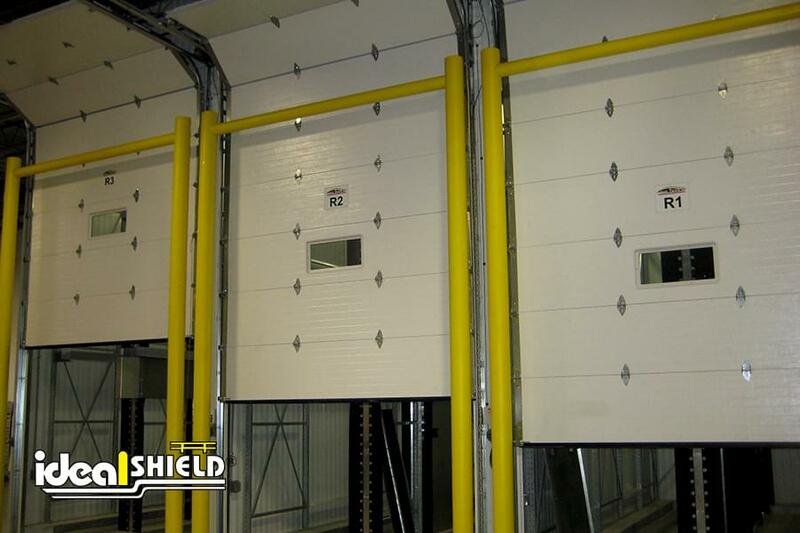 Tired of costly door repairs? 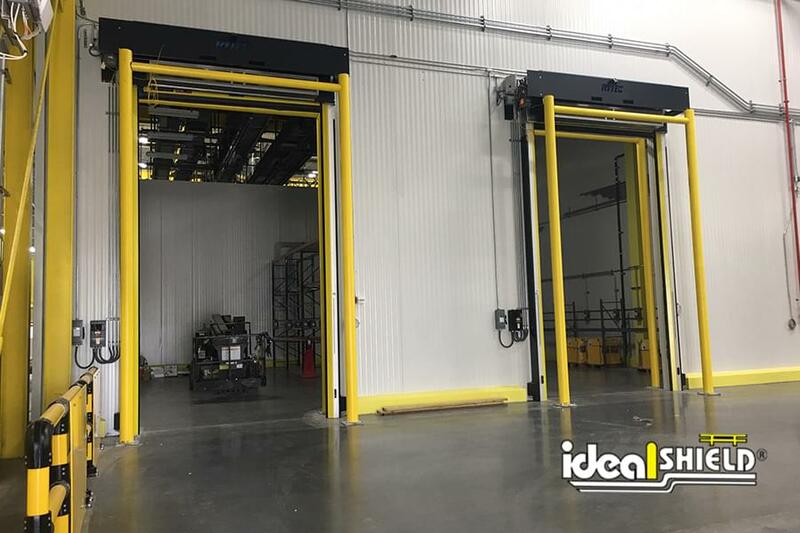 Ideal Shield’s Goal Post System is designed to protect your overhead doors, high-speed dock doors, and door tracks, from excessive damage and expensive repairs. 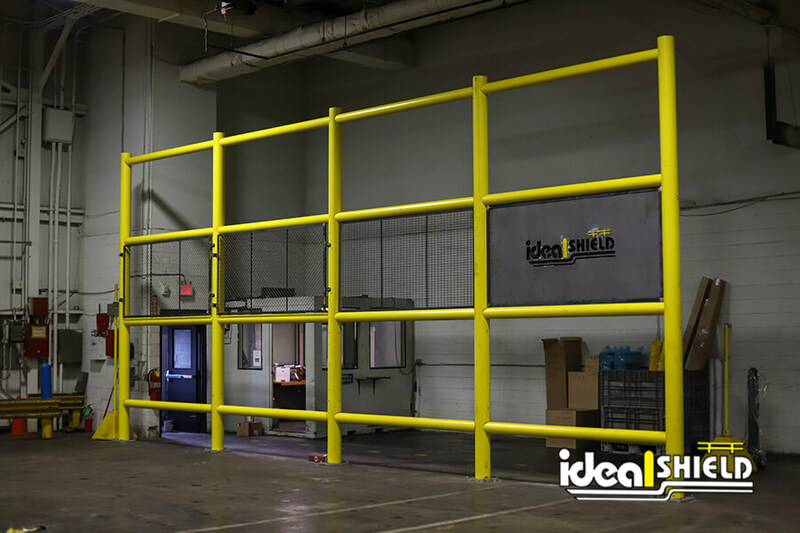 Our Goal Post System, made of 6” steel posts and 4” schedule 40 steel pipe crossbar, arrive in three sections for quick installation. No welding, sanding or painting required. Just slot together and draw out the set bolts, hoist and set in place. 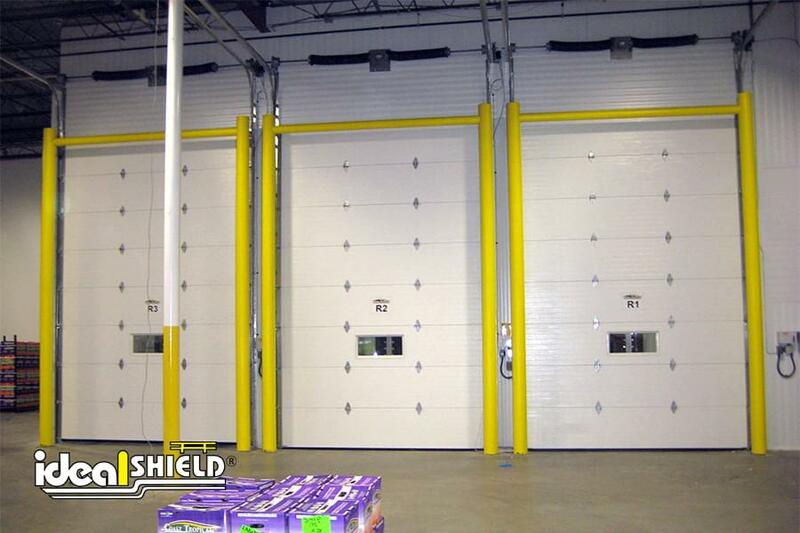 This is a perfect overhead door guarding solution for distribution centers, clean rooms, and cold storage facilities. 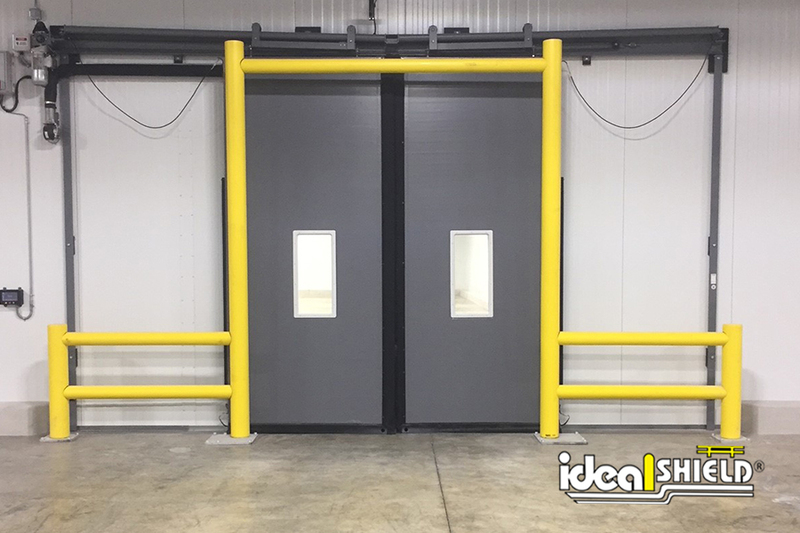 Not only will the Goal Post eliminate costly door repairs, but like all of Ideal Shield guardrail system products, our HDPE plastic sleeve eliminates the need to paint! 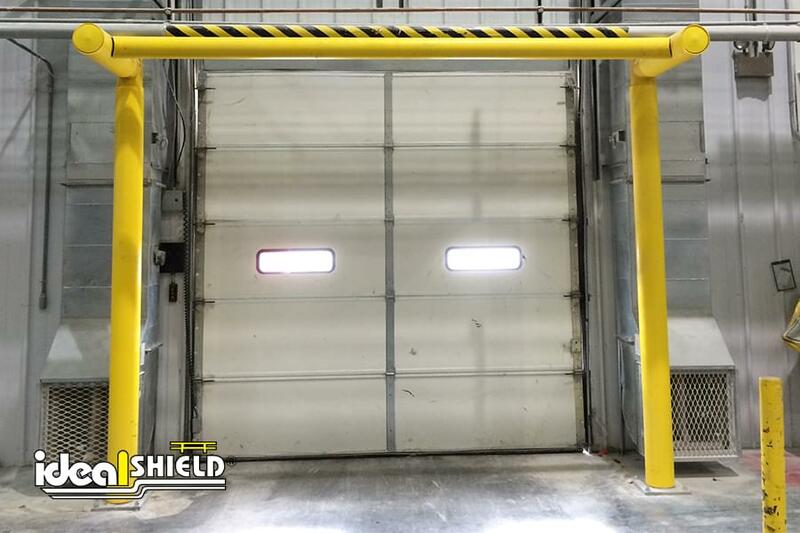 core-in recommended to be at least 24"
Ideal Shield Goal post systems can be installed with surface mounted base plates or can be cored into you facilities flooring (recommended). What is the recommended core depth for the pieces? 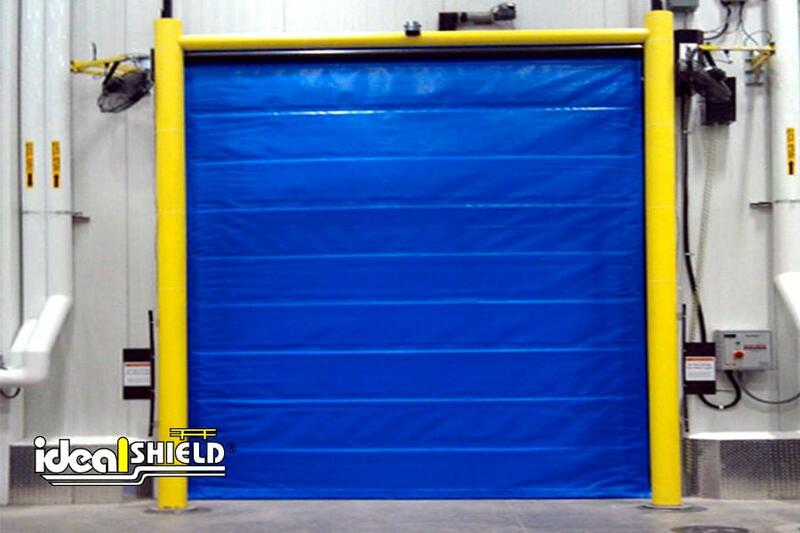 Ideal Shield recommends a 24” core depth for our Goalpost applications if applicable. Is there any onsite welding required? No, the 4” schedule 40 crossbar is fits in the 6” schedule 40 upright and is secured by drawing out a set screw on each side, preventing the piece from coming apart while allowing it to absorb multiple impacts. What is the crash rating on the Goal Posts? 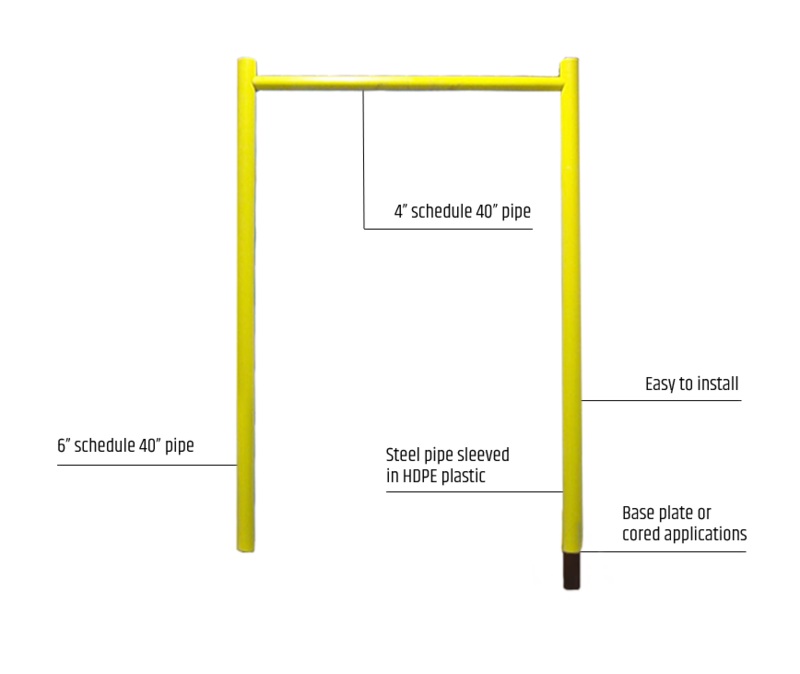 A plated Goal Post can withstand a hit from a 12,000 lb lift at 4 MPH whereas a cored Goal Post is rated to stop a 12,000 lb lift at 8 MPH. 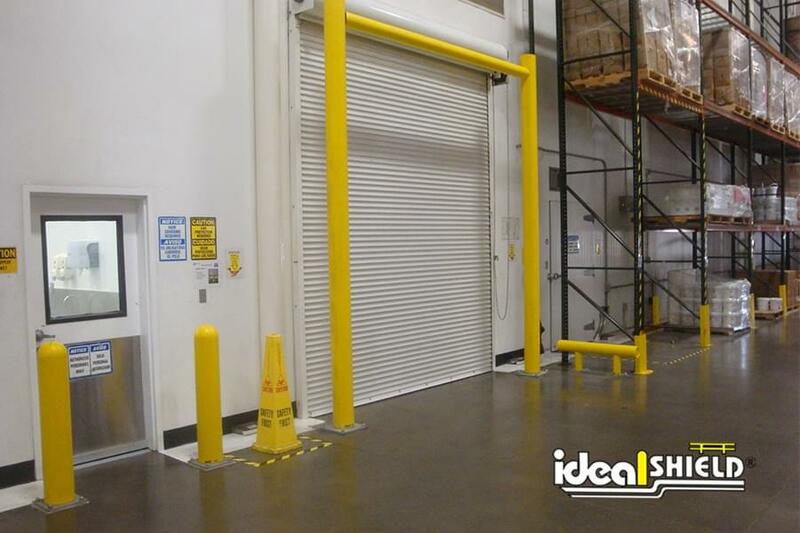 Have you ever installed a Goal Post in a room with freezer lines underneath the floor? Yes. In those cases we usually use a 12” x 12” base plate with a short 6” core or just a 12’ x 12’ base plate if you cannot core into the cement. How does the Goal Post ship? 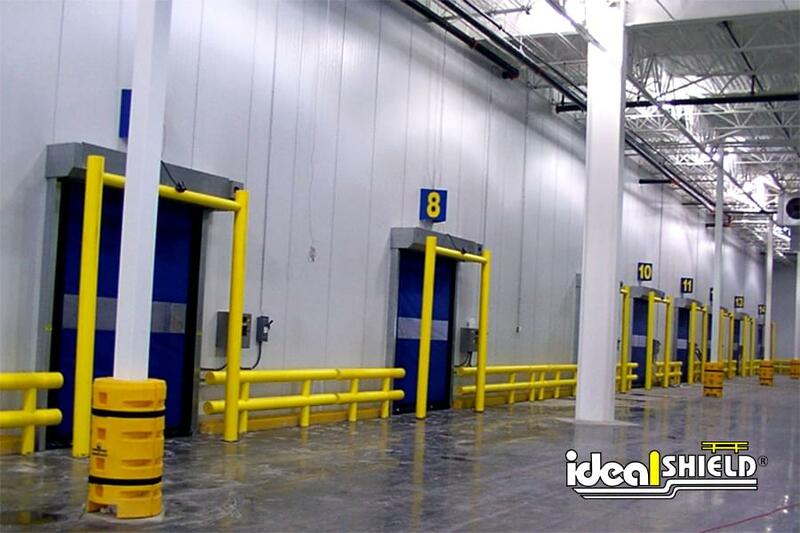 Ideal Shield’s Goal Posts ship in 3 separate pieces which save you money shipping costs. What size are the base plates? And what are the mounting options? 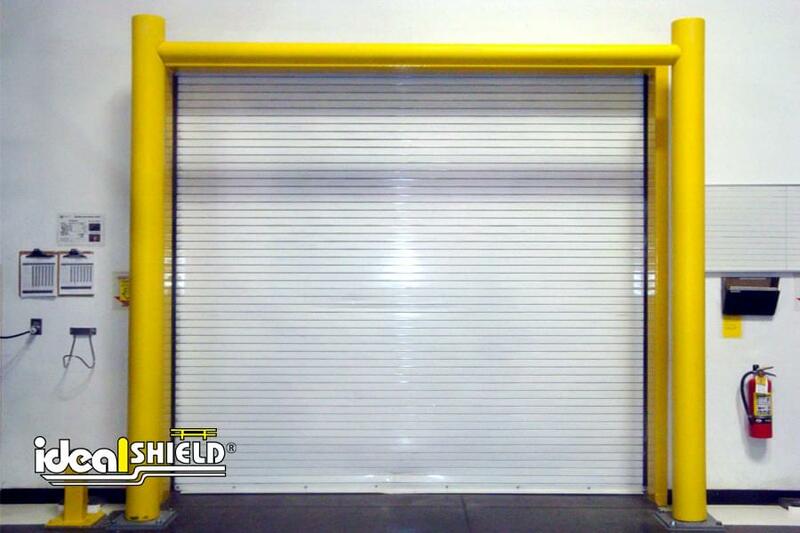 Base plate size is 3/4” x 12”x 12” – the can also be cored and the recommended core length is 24”. 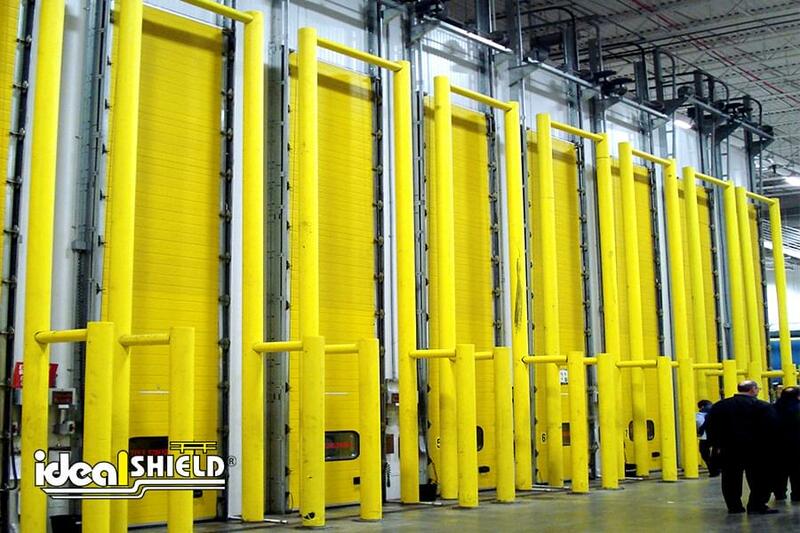 What is the size of the steel floor sleeves? 7” Round Steel Floor Sleeves x the depth at least 24”. How do you take the measurements for the Goal Post outside diameter or inside diameter? If we use your steel floor sleeves, what is the size of holes we should core drill? Core drill a 10” hole x the depth. We can not core drill the floor anymore than 6” because it has vacuum barrier. What do you recommend? We recommend a 3/4” x 12 x 12 base plate with a 6” core-in. What size of anchor bolts should we use if we bolt the Goal Post down? 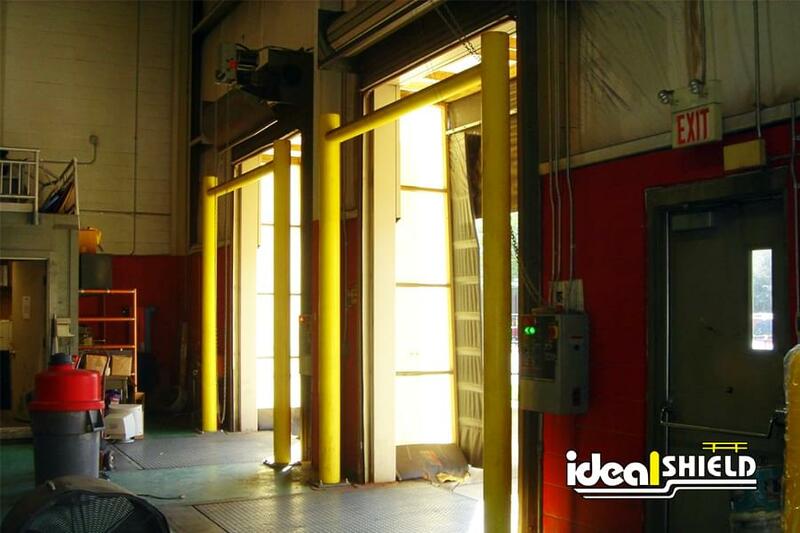 We recommend 3/4” x 6 1/4”.